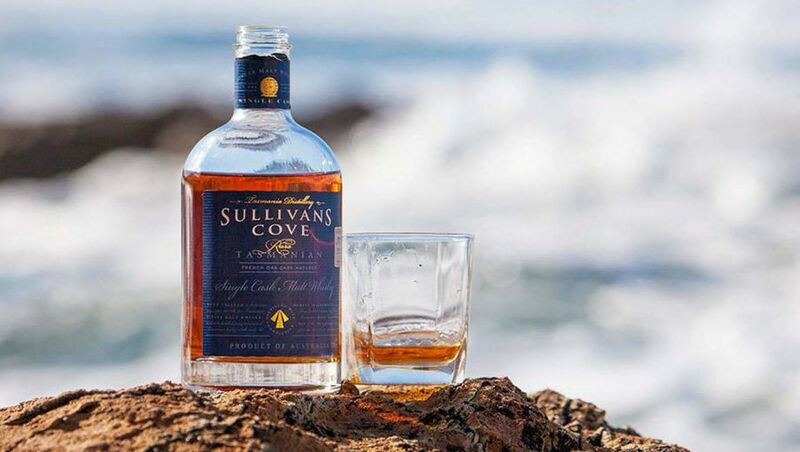 Mention "Australian whisky" to anyone overseas, particularly in Asia, and if they've heard of it, there's a good chance they'll respond with "Oh, yes, I know Sullivans Cove"! Whilst Australia currently has a significant number of whisky distilleries – the exact number seems to be constantly changing, but is over 40 as of the time of writing – the old joke that "most Aussie distilleries make less whisky than the Scottish distilleries spill" almost holds true, and by far the majority of this output remains within Australia. Some distilleries, like Starward, are doing a great job of getting their product onto the world stage, but Sullivans Cove have been doing it for longer than anyone. I remember as far back as 2010 seeing Sullivans Cove in bars all over Asia, well before it won a slew of awards and gained even more fame. 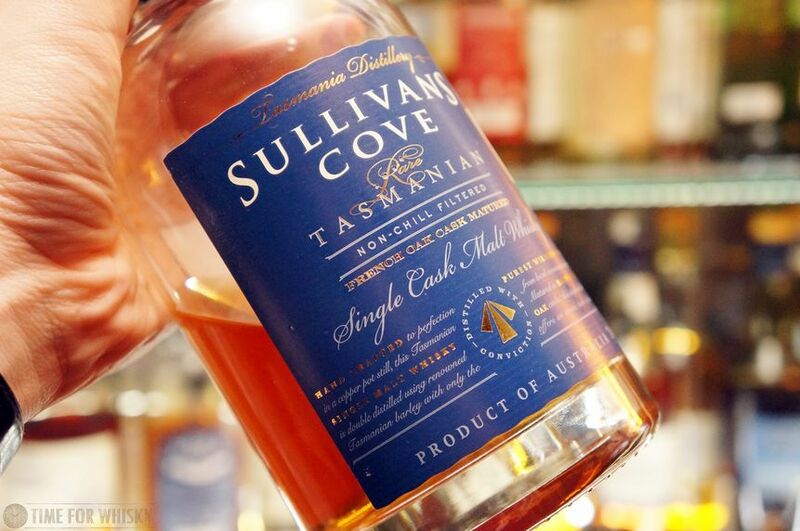 Indeed, as Tasmania's second oldest (currently operating) whisky distillery, and 100% Aussie owned and operated, it's fair to say Sullivans Cove Distillery (formerly known as Tasmania Distillery) is firmly ingrained into Aussie whisky folklore. Whilst their earliest output in the mid 1990s may have been a bit average, they well and truly turned a corner around 1999 and now produce some fantastic Aussie whisky. Sullivans Cove recently treated me to a private tasting of the full 'core' range, including the rare (and very much sold out) Special Casks and a few other goodies too. With the delightful Amanda as our guide, we learned about the distillery's history and current state, its philosophies, and an idea of where its heading in the future. 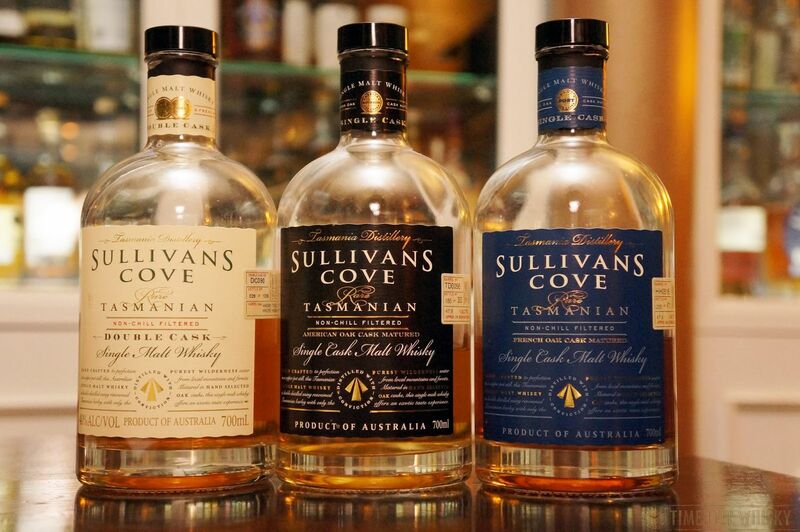 Sullivans Cove's core whisky line-up consists of Double Cask, American Oak and French Oak - the latter two being single cask, the former being a vatting of 3-5 barrels (a mix of American Oak ex-Bourbon and French Oak ex-Tawny, mostly from Seppeltsfield) yielding ~950 to 1,500 bottles each release. We started with the Double Cask, tasting two expressions - one a 9yo at 40% ABV (DC090), and another 9yo at an unusual 49.6% ABV (DC095, which went on sale soon after and rapidly sold out). DC090 had a beautifully creamy, vanilla nose, following through to a sweet, fruity palate but then deviating to an earthy, vegetal finish. Unexpected, but enjoyable. DC095 wasn't dissimilar in terms of flavours, but they were significantly ramped up, with more creaminess, spice and (for me) tannin on the finish. Same same, but different, and I enjoyed both equally. 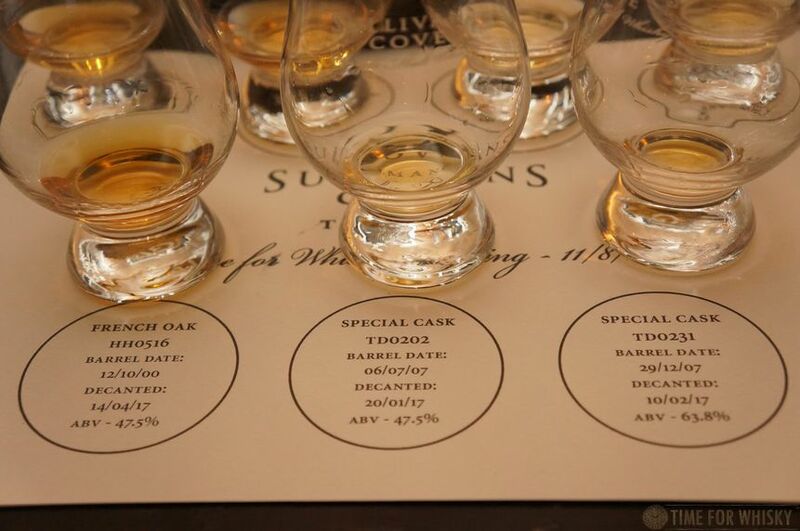 The American Oak range was next, with two bottlings - one 11yo (TD56), and one at an impressive 17 years old (HH0088) - Sullivans Cove's oldest available cask. Both were at 47.5%. TD56 showed some citrusy paprika on the nose, with the citrus following through on the palate and an oaky, spicy finish. HH0088 was buttery but for my palate showed some slight hints of sulphur, albeit with a lovely caramel finish. Not my favourite of the two, but still a lovely dram, and a great chance to sample the distillery's oldest wares. The famous French Oak followed – not the really famous HH0525 which helped kick off the Tasmanian whisky boom but HH0516, distilled in October 2000 and aged at 16 years old, bottled at 47.5% ABV. With an orange gold hue, and big sweet raspberries and blueberries on the, initial impressions lived up to expectations. The palate was initially drying, but then a berry-sweetness emerged, turning to a long and "chewy" caramel-oak finish. Up until last year, a discussion of the Sullivans Cove range would have stopped there. In 2017 though, the distillery saw the first new release (two actually) in over a decade - the green-labelled Special Casks. 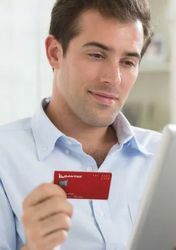 At $750 each they don't come cheap, but that didn't stop them selling out in record time. 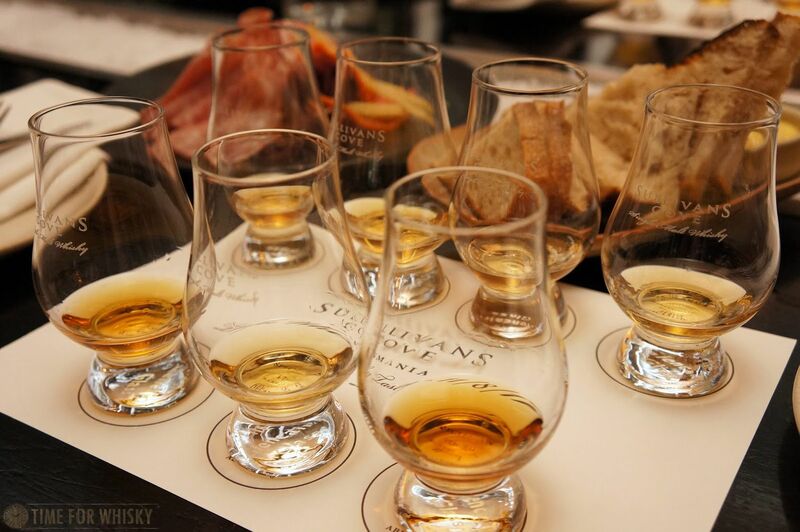 Described to us as "exceptional malts that don't fit the core range", they're evidence of some of the experimentation underway at Sullivans Cove, and perhaps an insight into some of the more unusual and interesting whiskies we may see coming in future years. TD0202 on the other hand couldn't have been more different, with a light yellow-golden hue, floral pineapple fritters on the nose, sweet chocolate-coated pineapple chunks, apple and honey on the palate, and a tropical, floral finish that went on for days. This one was my pick of the night. You might note that Sullivans Cove don't actually specify an age on their whiskies, although - in the spirit of complete transparency – it provides the exact distillation dates (for the youngest whisky, in the case of the Double Cask range), the bottling date, and the cask numbers. It doesn't get much more transparent than that! I personally can't wait to see what Special Casks are released in the near future, but if the experimentation we heard about and tasted is anything to go by, I'm sure they'll be a whole lot of fun. 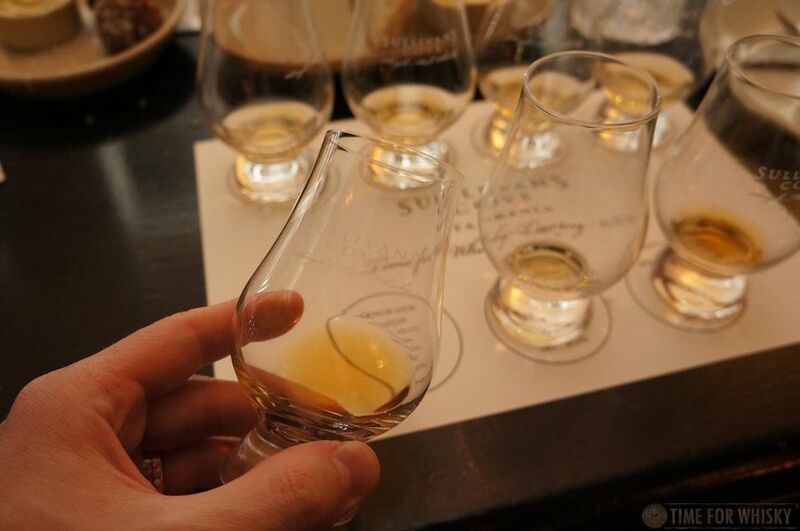 This article was originally published on TimeforWhisky – visit TimeForWhisky.com on the Web and on Instagram. Martin is the founding editor of TimeForWhisky.com, a leading blog for lovers of the dram with tasting notes, events, bar reports, new releases and more. I find the Tassie whiskies generally pleasant but very over-priced. At one tasting the bar person apologetically told me that the $15/half-nip cost was not a reflection of the quality of the whisky, but on the quantity available to be sold! 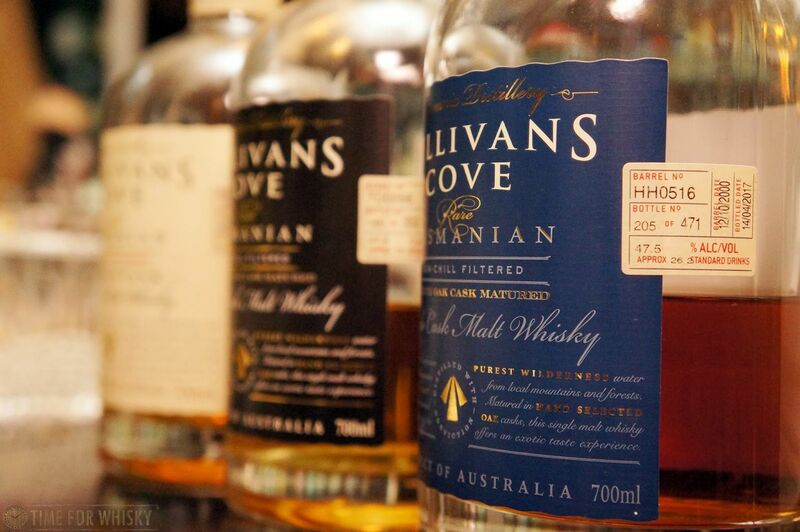 Comment on "Reviewed: the impressive Sullivans Cove whisky range"